Monotremes are such weird animals that it would make sense for them to have weird biochemistry. Image: Laura Romin & Larry Dalton/Wildlife Reflections Photography. According to the World Health Organisation, antimicrobial resistance poses an increasingly serious threat to global public health and can affect anyone, of any age, in any country. Antimicrobial resistance occurs when bacteria and viruses that were once responsive to antimicrobial treatments like antibiotics build up a resistance and then pass that resistance on to their next generation. This leads to ineffective treatments and more persistent infections, AKA superbugs. Scientists around the word are tackling this challenge by widening their search for novel, alternative treatments that will stop superbugs in their tracks. One place they hadn’t thought to look however, was in the milk of the lactating platypus. The platypus belongs to the monotreme family – a small group of mammals that lay eggs and produce milk to feed their young. This unusual animal family, native to Australia and New Guinea, also includes the echidna. Monotremes don’t have teats, but rather their milk is expressed onto a milk pad on their belly for their blind, hairless young to suckle. A mother’s milk has special qualities. Apart from being packed with vitamins and nutrients, the milk proteins contain bioactive properties that are anti-inflammatory, anticancer, antioxidant and antimicrobial. In monotremes, the milk proteins are even more special. Without the protection of a teat, the mother’s highly nutritious milk is exposed to the environment, leaving her young susceptible to the perils of bacteria. But clever Mother Nature seems to have considered this, and scientists think it is why a platypus’ milk contains an additional, rather unusual antibacterial protein. The newly discovered protein with antibacterial properties helps protect platypus young against the risk of contamination, and may even hold key to the evolution of these strange mammals. To understand the exact characteristics of platypus milk, researchers first need to examine its protein structures. But as you can imagine, obtaining milk samples from a lactating platypus can be quite tricky. Apart from platypuses being notoriously shy creatures, these darlings of Australian fauna are also a well-protected species. Thankfully, the team didn’t need to work with actual platypuses during their research. Partnering with the lactation specialists at Deakin University, our researchers, led by Dr Janet Newman, employed the marvels of molecular biology and specialist recombinant protein production skills to successfully make their own platypus milk protein in the lab so they could look more closely at it. Using x-ray crystallography at our state-of-the-art Collaborative Crystallisation Centre, and the synchrotron in Melbourne Victoria, the team discovered a unique structure in the protein which, when solved, formed a three dimensional fold, similar to a ringlet. The researchers named this never-before-seen protein the Shirley Temple, in tribute to the former child-actor’s distinctive curly hair, and published a paper about their find in Structural Biology Communications. Finding a new protein fold is pretty special, and although the scientists have identified this highly unusual protein as only existing in monotremes, the discovery increases our knowledge of protein structures in general. The shape of proteins is known to affect their function, so the next steps for our protein researchers is to identify specifically which parts of the protein determine what, and whether changes made to the protein will alter its activity. The scientists can guess the function has something to do with ancient antimicrobial properties, but because proteins are intrinsically unstable, further research is required to determine Shirley Temple’s limits and replicate the protein in the lab. So what does this new protein have to do with the fight against antimicrobial resistance? Most antimicrobials tend to be small molecules. Proteins are not, so this offers an alternative to current antimicrobial treatments. The nature of proteins is that they are broken down when ingested, ruling out oral applications of the antimicrobial, however the discovery may potentially lead to a new protein based antibacterial agent in the form of wound dressings and topical creams. Could it be the diminutive, bashful platypus has been hiding a possible miracle from us all along? The superbug fighting protein is still a long way to commercialising and needs ongoing research. The team would love to continue their work on this protein and are keen to hear from collaborators wanting to help them take this potentially life-saving antimicrobial to the next stage. Want to milk our protein specialists for more info? Check out more of our life changing science here. 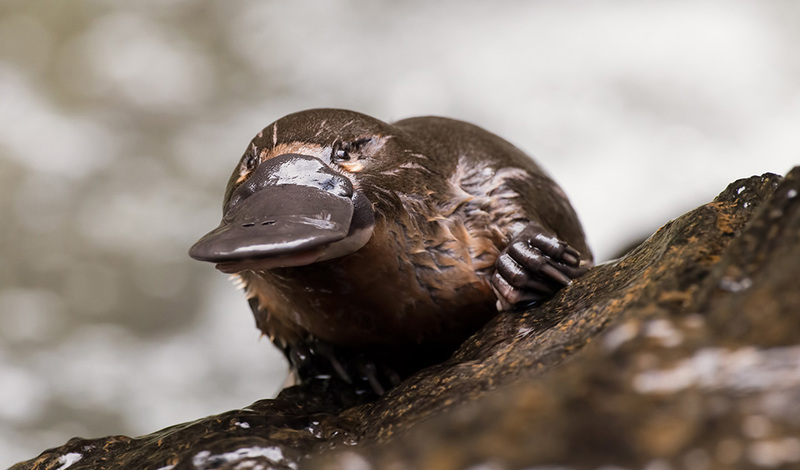 The article suggests that the analysis of the protein structure by Deakin U and Dr Newman “didn’t need to work with actual platypuses”. Surely there was at least one sample of actual platypus milk required to analyse the protein structure? When bacteria inevitably become resistant to the protein what will happen to baby platypus? We don’t have any platypus specialists so we’ve passed your question on to Deakin University and their platypus lactation researcher. We’ll let you know when we get an answer!